Corian and granite are common materials used for countertops in kitchens. 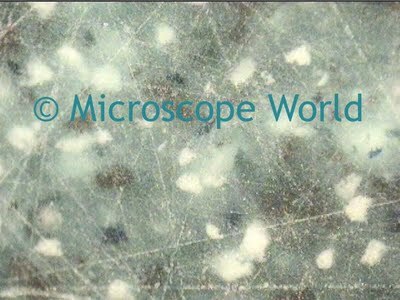 Corian is actually a name DuPont created for a material made up of acrylic polymer and alumina trihydrate. 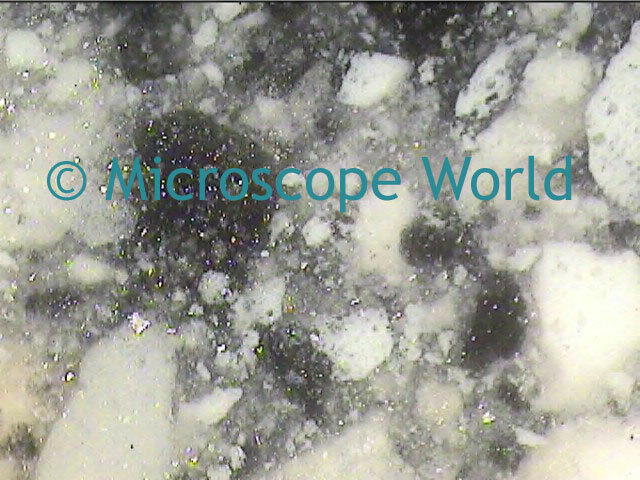 Granite is an igneous rock that generally has a medium grain texture. 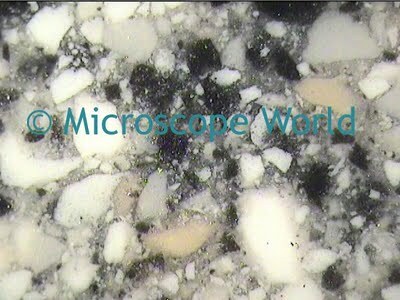 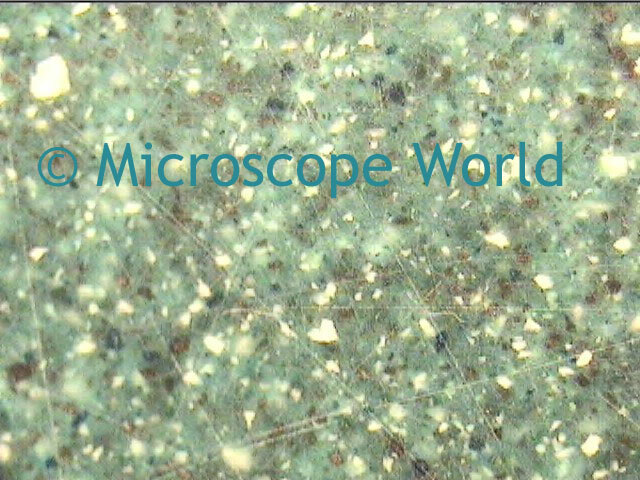 We recently took a look at both under a stereo microscope. All images were captured with the Moticam MC-2000 2.0 mega pixel camera and software.